Get the most value for your dollar with ADC affordable 776Z Economy Aneroid Sphygmomanometer. The 300mmHg no-pin stop manometer is finished in black enamel and produces reliable readings. The sturdy nylon BP cuff is marked with an artery label, gauge holder, and range markings to help in selecting the appropriate size. 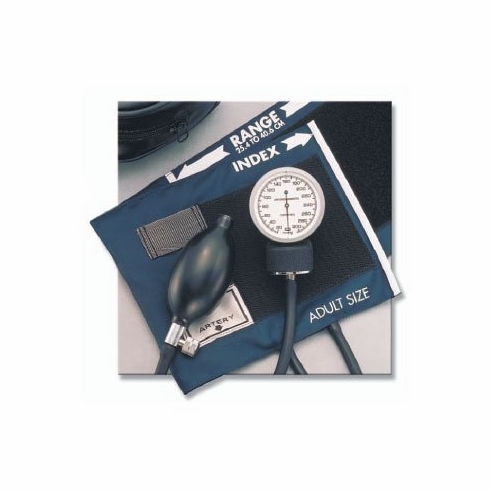 The Economy Aneroid Sphygmomanometer includes a latex inflation bladder and bulb, a chrome-plated deflation valve, and a zippered leatherette carrying case.